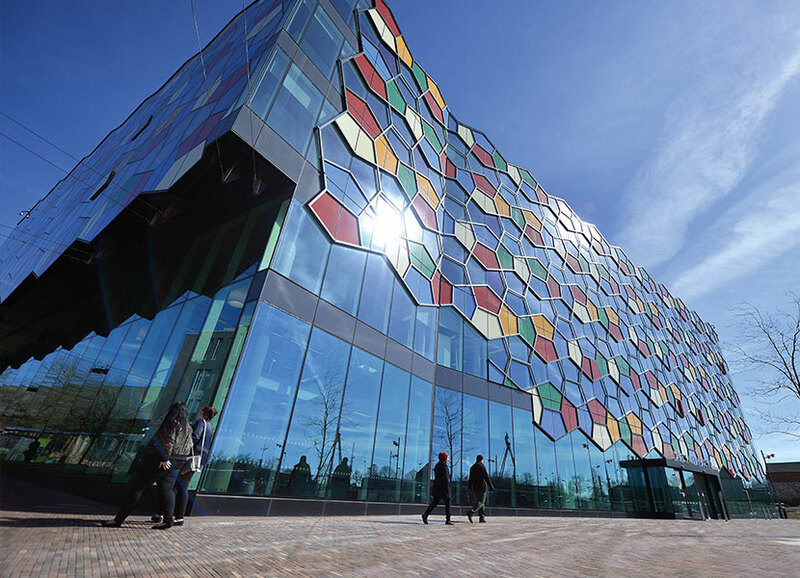 As a key ingredient of its regeneration agenda, Stoke-on-Trent City Council had an ambition to deliver a transformational new business quarter for the city. 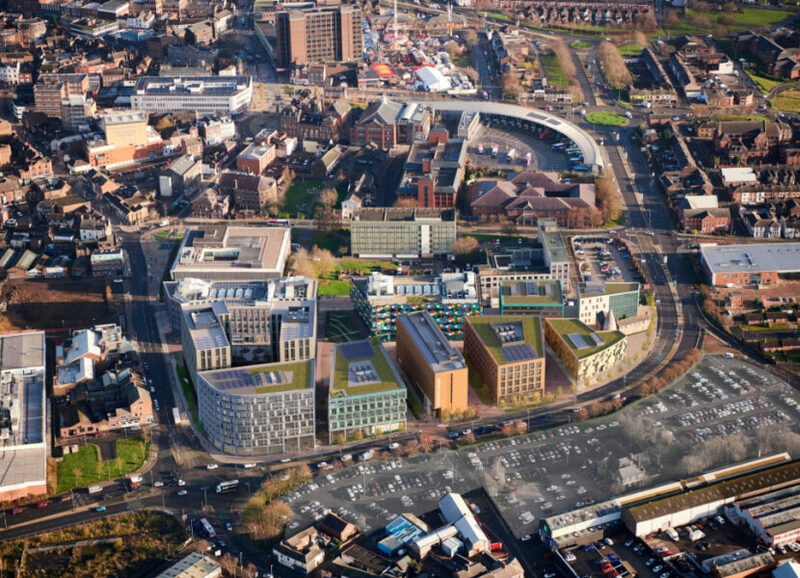 They selected Genr8 to deliver this vision and Smithfield was born: a £200m mixed- use quarter for Stoke-on-Trent. The name pays homage to the original Smithfield bottle works on the site, giving a nod to the site’s past but demonstrating dedication to its future. Whilst there were many fantastic attributes to Stoke-on-Trent it was time for a city centre refresh. The Smithfield development needed to focus on bringing the city together and using its advantageous location in the heart of Stoke-on-Trent to provide a link between both new and existing areas of the city centre. We believe that the very essence of Smithfield will not be found in the internalised experiences of office buildings, but in the way in which all buildings and open spaces come together. The essence of Smithfield will be felt upon arrival, whilst passing through, on the way to work, during breaks and on the way home. Smithfield will deliver a new city centre destination designed for people and the modern occupier creating a revitalised public realm network.